Photograph by Sandy McCook, Inverness 16th Oct '11 File Pics of West and North Lewis. 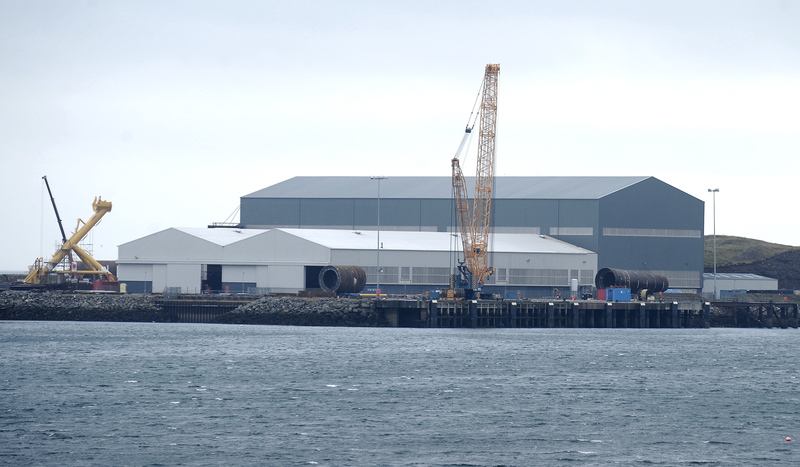 The Arnish fabrication yard close to Stornoway. Nicola Sturgeon has hinted that work from a huge offshore wind farm off the Fife coast could revitalise troubled firm BiFab. The new owners of the company, which has fabrication yards in Lewis and Fife, are on the hunt for contracts that would allow them to lift redundancy notices for dozens of workers. Lewis Macdonald, the north-east Labour MSP, asked Ms Sturgeon what training the Scottish Government was putting in place for BiFab staff, to give them the best chance of securing work for the Neart na Gaoithe (NNG) wind farm. At first minister’s questions, the SNP leader said that government agencies had launched several training programmes, including ones that equip oil and gas workers with renewables skills. Referring to NNG, she added: “This is one of the contracts that, while there are no guarantees, I think gives grounds for optimism for the future of a company like BiFab. “As the chamber knows we are very focused on ensuring that we do everything we can to support BiFab. “When the acquisition by DF Barnes was announced it was made very clear that it was not a magic solution and that hard times still lay ahead. Last week, Economy Secretary Keith Brown said there are “two contracts coming up fairly shortly that BiFab will have an opportunity to win”. Experts at the Fraser of Allander Institute have estimated the NNG windfarm will be worth £827 million to the Scottish economy over its lifetime, creating thousands of jobs during construction and at least 230 jobs for its day-to-day operations. The NNG site is 10 miles off the Fife coast, covering an area of about 40sq miles.